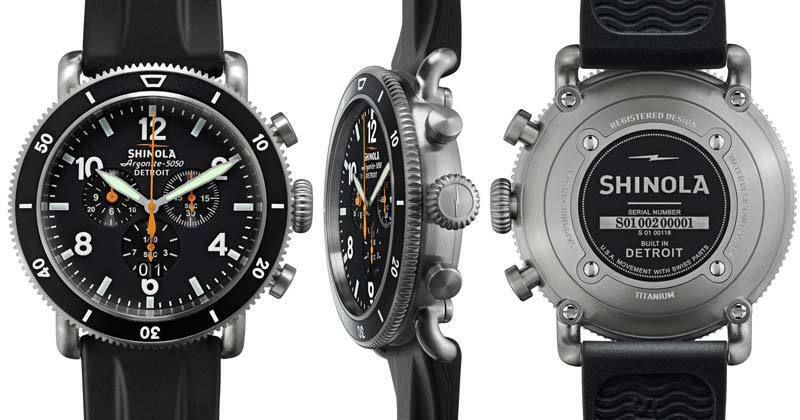 Detroit’s very own Shinola has again released a true beauty of a watch, the Black Blizzard, according to Shinola. inspired by the Dust Bowl of the 1930s and the homesteaders who weathered the storm. The Black Blizzard is a great looking wristwatch and comes with either a metal strap or a rubber one as shown above. Features of The Black Blizzard include a sapphire crystal, Super-LumiNova printed dial details, sport 3 eye chrono, solid titanium case with brushed finish, turning topring bezel and screw down crown. The Black Blizzard comes in two sizes, 42mm or 48mm, each with a titanium bracelet and interchangeable black rubber strap. Case: Titanium, with double curve sapphire crystal. Movement: Shinola Detroit-built Argonite 5050 quartz movement, hand assembled from 103 Swiss-made components. Shinola Black Blizzard Titanium Watch : Shinola Watches 0 out of 5 based on 0 ratings. 0 user reviews.